Each of our carefully crafted screens have new aluminium frames properly prepared prior to being stretched with your chosen mesh. We only use Swiss Sefar mesh which is renowned for its superior quality and precision weave, and comes in white or yellow. Not only do we produce a range of standard ready to order screens we also build bespoke size frames and offer a re-stretching service for your old frames. 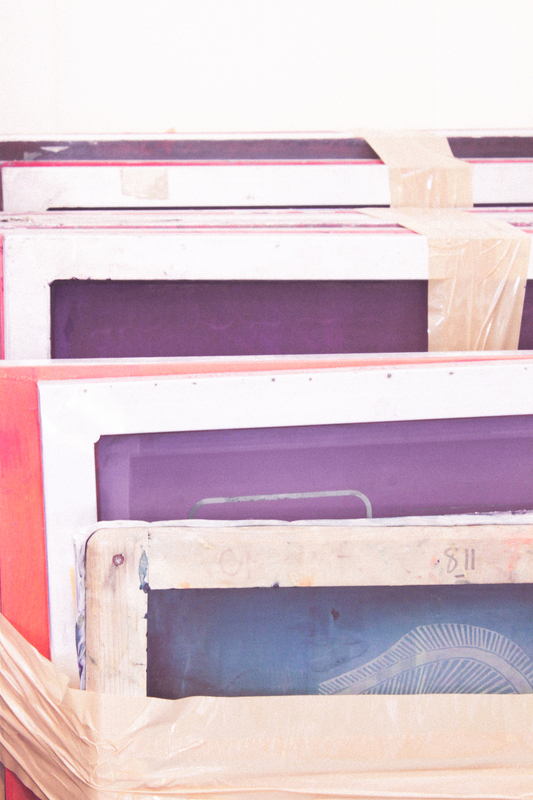 Our standard screens range from size A0 - A5 & can be preordered and collected from the studio or delivered to your door. We can also produce bespoke-sized alluminium screens, made to order. Please contact us with an idea of what size you need and we can work out a quote for you. Please be aware that bespoke screens will take longer to produce for collection than our standard size frames. If you have old frames that need a new lease of life, how about a re-stretch! Please contact us with the outer dimensions of the frames to be restretched and what mesh is required and we'll get back to you with a price. Please let us know the size of the screens and quantities needed. Please also specify the mesh count you require. If you are unsure give us a call and we'll help you decide! We generally say it is a 3 - 5 day turnaround on standard screens but we can try and have things ready for collection sooner if we aren't too busy. We always strive to meet your deadlines, so please state if you need a job done quickly and we will do our best to accommodate you. Please note for collection and delivery we charge £12.00 outside congestion zone and £22.00 within.